both United States Air Force. 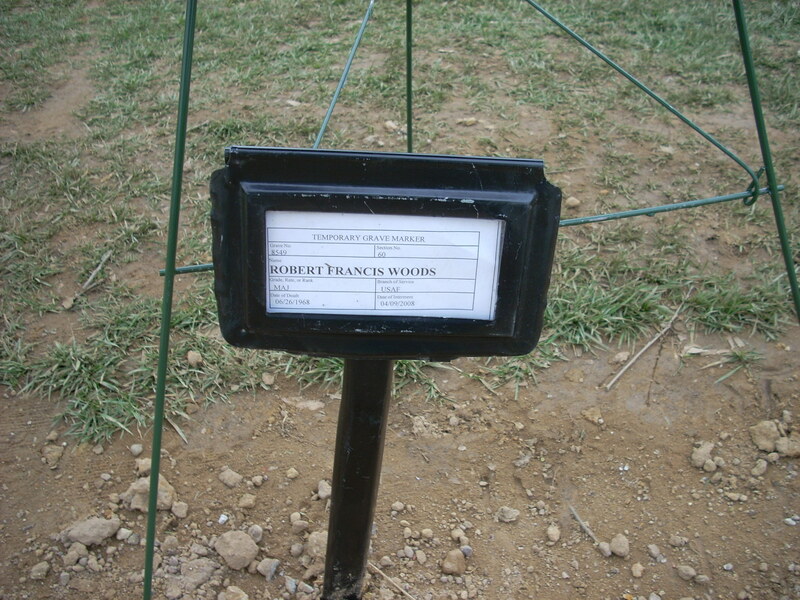 Captain Cornelius was buried with full military honors on 10 November 2007 in Moore, Texas, while the burial of Major Woods is being set by his family. On 26 June 1968, Woods and Cornelius were flying a visual reconnaissance mission over Quang Binh Province, Vietnam, when their 0-2A SKYMASTER aircraft crashed in a remote mountainous area. The CESSNA 0-2A SKYMASTER was a monoplane with twin tail booms, aft pusher and forward puller engines and retractable landing gear. It was used for forward air control missions. Their aircraft was seen to roll in on the target and suddenly go into a steep bank, crash into trees and explode. The crew of another aircraft in the flight saw no parachutes and reported hearing no emergency beeper signals. Immediate search efforts were unsuccessful. Between 1988 and 1993, joint U.S./Socialist Republic of Vietnam (S.R.V.) teams, led by the Joint POW/MIA Accounting Command (JPAC), investigated the incident and surveyed the crash site. The team interviewed several Vietnamese citizens, two of whom turned over human remains and the pilots' identification tags. Between 1994 and 1997, joint teams re-surveyed the site two times to find a landing location to support a helicopter and recovery team. During their survey, one team found additional wreckage and life-support material. Between 2000 and 2004, joint teams excavated the site four times. They recovered additional human remains, personal effects and life support materials. In 2006, a joint team interviewed two former North Vietnamese soldiers who recalled the crash. 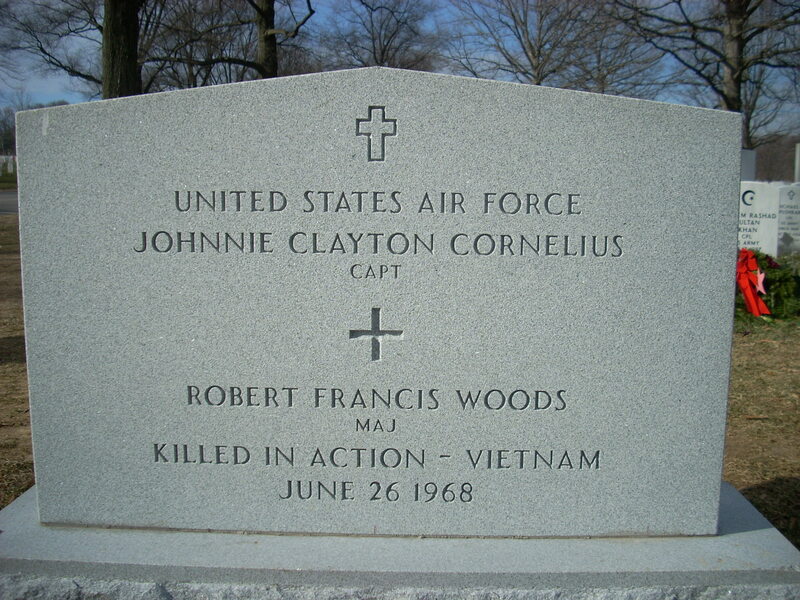 The soldiers said that Woods and Cornelius were buried near the crash site. In 2007, another joint team excavated the burial site identified by the Vietnamese soldiers. The team recovered additional human remains. When Lana Taylor of Mesa shares memories of her father with family members, there will be a lot of talk about the number 39. "This has been going on a long time, 39 years to the day," she said. "He was 39 years old when he was killed and it took 39 years to bring it to a conclusion." An Air Force pilot, Major Robert F. Woods was shot down over Vietnam's Quang Binh Province on June 26, 1968, during a visual reconnaissance mission, according to the Department of Defense. Taylor was notified recently that the remains of her soft-spoken, 6-foot-4 father along with those of his co-pilot, Captain Johnnie C. Cornelius, were identified by the Air Force a few months ago. "Dad's gift to us is that he is bringing all of our family together again," Taylor said. "All of us are scattered, all went our own ways and have not seen each other for many years. Now I'll be looking forward with mixed emotion to April 9." 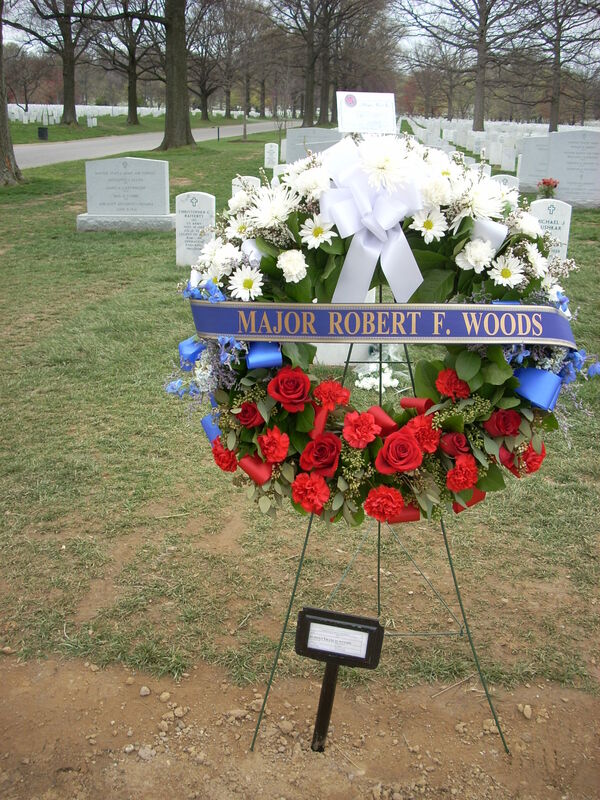 That's the day the family will reunite at Arlington National Cemetery outside Washington, D.C., for Woods' funeral with full military honors. Among them will be Taylor's brother and sister. Most of Woods' immediate family - he was one of nine children - have died, Taylor said. "Laughingly," she said, "we may have to wear name tags to identify each other." The following day there will be a group service to honor Woods and Cornelius, who had flown together in the O-2 Skymaster plane when it crashed in a remote, mountainous area. The crew of another aircraft saw no parachutes and heard no emergency-beeper signals, according to the Department of Defense. Woods' wife, Mary, however, always believed that her husband somehow survived. "Mother refused to accept the fact that my father was killed until she died in 1995," Taylor said from her home in northeast Mesa. "She kept saying, 'Bob is still alive.' And the younger children accepted what Mom told them and grew up through all of junior high and high school believing Dad was still alive." It was a chapter in a prolonged saga that Taylor's husband, Tom, called, "a tough time for all of us." Now there is a sense of comfort knowing that closure is imminent, Lana said. "It has been a presence in our lives," she said of the waiting and the memories. Lana and her husband recently found a new connection with her dad by listening to tapes of his conversations they discovered in a piece of furniture left by their parents. "They loved teak wood and they were in Germany, where dad was stationed, for a while and bought a beautiful stereo unit," she said. "On the other side is a reel-to-reel tape with boxes of old tapes and my husband played them." For the past several days, Lana and Tom have been listening to two tapes of her father talking to them the night before their wedding in Wiesbaden, Germany. "We flew over from Colorado to get married," she said. "And dad had a wicked sense of humor, I'm reminded by just listening to his voice. But he was comforting at the same time. He signed off at the end of the tape as he always did, saying, 'Adios.' That was Dad." The sound of his voice was also "magic," she said, a magic that at times overwhelms Taylor just like the sound of taps likely will at his funeral, she said. "I'll be all right until then," she said. Taylor, 65 and a retired teacher, said her father had two loves, in addition to his family: jazz music and flying. He fulfilled his passions in the Air Force as an enlisted man who rose through the ranks before becoming a commissioned officer, then a pilot. Woods' missions as a pilot included the Berlin Airlift, which no one in the Air Force forgot, she said. "They did 12 searches for him over 22 years after he was shot down," Taylor said. "Needless to say, they brought it to a conclusion and I'm satisfied that there is nothing else to find. "It's what he deserves, the respect he needs."